The invites for the New Hampshire portion of BST Basketball's 'Northern New England Prospect Camp Series' have been released. We at NH Notebook will be on hand to take in the event, evaluating NH's top prospects as they showcase their abilities on an exposure platform. 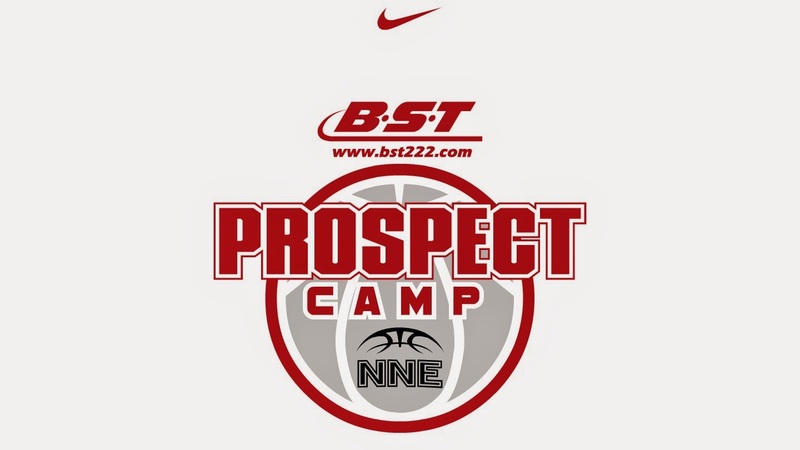 BST has invited the top NH prospects for the classes of 2015, 2016 and 2017 for the NNE-Prospect Camp Series. All three classes are impressive groups. 2015 has some solid college level prospects. Class of 2016 with pending prep reclassifications is proving to be a very impressive group that could have the most scholarship players the Granite State has seen in some time. The 2017 class is shaping up to be a very impressive group and could be the strongest, top to bottom that NH has seen in a very long time. BST will put the prospects through a series of positional drills, situational team drills and scrimmaging. This will allow prospects to showcase their skills, basketball I.Q. and coachability to coaches and evaluation / recruiting services. Over the last five years, the BST-NNE Prospect Camp Series has become the leading exposure opportunity for northern New England's top basketball prospects, providing a platform that has not been available in years past. Check back to nhnotebook.com in the coming weeks for the list of players who will be playing at the event, plus complete coverage of all 3 nights.